In 1958 a rare blend of Scotch malt and grain whiskies was discovered in 10 oak casks in the Port of Leith, Edinburgh, Scotland in a warehouse owned by William Muir Bond 9 Limited (Founded in 1823). The whisky was originally distilled in 1954 and the recipe, created by Marshall Taplow (Established in London in 1760), dates back to the 1800s and has been enjoyed by Royalty and the British Aristocracy. In 1966 a small quantity of the whisky was bottled for the private use of the Directors of William Muir Bond 9 Limited and a restricted number of their friends. A total of six individuals comprising lawyers, accountants and bankers were instrumental in forming what became known as SYNDICATE 58/6 – hence the name. Over the years and by the mid 1980s the Syndicate had expanded significantly. The members, who came from all over the United Kingdom, were personal friends or friends of friends and now include Members of the House of Lords, High Court Judges and a wide range of leading professionals from the business world. It has grown into an exclusive and highly distinctive club made up of discerning individuals who really appreciate and enjoy the whisky. The SYNDICATE 58/6 contains 18 single malt whiskies and 4 single grain whiskies. The quality and consistency of the blend has been maintained over the years by operating a ‘Solera’ system whereby when additional whiskies are added they are then reblended with the older stock. The SYNDICATE 58/6 still contains some small quantities of the original 1958 blend. SYNDICATE 58/6 is ‘married’ and finally matured in 4 year old Oloroso Sherry casks which are imported directly from Spain. This final marrying and maturation process serves to give the whisky its exceptionally smooth and distinctive taste. The Young RICHARD PATERSON was the Master Blender who re-created the blend in the 1960’s. Nuances of Seville orange, bergamot and honeyed pear, warm on the nose with ginger and jasmine. Rich and intense taste of Dundee marmalade, glazed apple and caramel combine with a gentle whisper of figs, forest fruits and treacle in this hedonistic harmony. 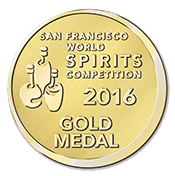 Syndicate 58/6 won a GOLD MEDAL in the 2016 San Francisco World Spirits Competition. Syndicate 58/6 won a GOLD MEDAL in the 2014 and 2015 International Wine and Spirit Competition.